This quiz won’t be an ordinary QFI Quiz. No sir, it’s a special quiz keeping in mind the massive world extravaganza that’s going to begin in Beijing in a week’s time. Yep, it’s an Olympics themed Quiz! Only the fastest, highest and strongest among us will do well in it. Highest? Strongest? I know you’re all thinking that Sumo’s team will win comfortably. That may be true, but it’s not about winning or losing, it’s about taking part. So, bring your Olympic spirit, and be sure to brush up on your Chinese Synchronized Swimmers before you turn up on Sunday! Arun has done themed quizzes at the QFI in the past, including an excellent India quiz some time ago. But as we all know, there are very few India questions that can be asked in this case! Matti is well-known for his fascination for South Indian temples and Superstar Rajinikanth, both of which have very little to do with the Olympics, although the Superstar will no doubt be able to win Gold, Silver and Bronze in the cigarette-in-mid-air shooting discipline, whenever it is introduced. It’s high time they got rid of that Trap, Double Trap nonsense anyway. 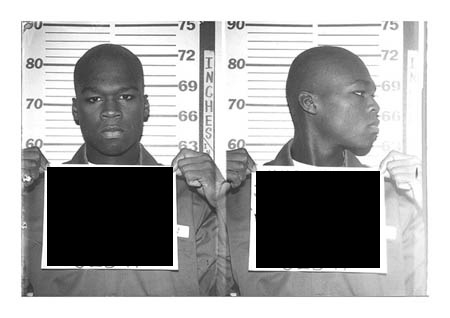 The man in the mugshot was the rapper ’50 Cent’. 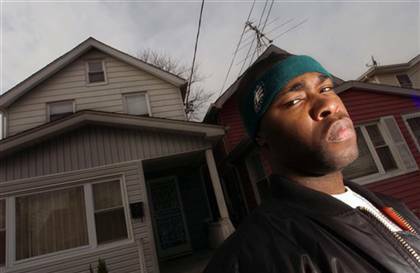 But the name blanked out would be his real name, which is ‘Curtis Jackson’. The man in the clue visual is his cousin, who is nicknamed ’25 Cent’, and goes by the moniker ‘Two Five’. Cracked by 28 of you! In order – Thejaswi Udupa, ganesh, vijaysarathy, Hemant, anil raghavan, Venkatakrishnan.A.J, Priya, Vivek Cheriyan, Mario, Ranjana Ninan, sai, Arun.A.S, Ashwin Kelkar, giantrun, Andy, Paulie, Prashant, Rohan, anon-on-narkotix, Venky, Wasi Manazir, Sharath, Mc Neill Ivan S, Santosh, nishansolo, Nidhi and bobo.